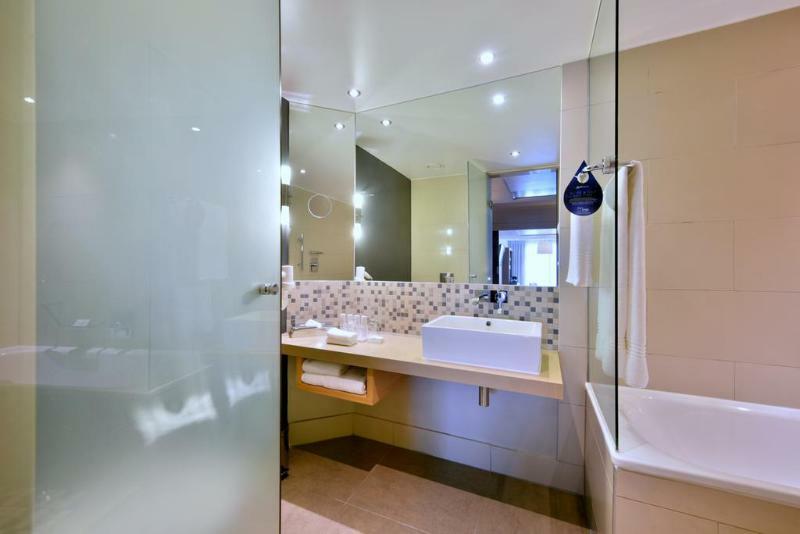 ﻿ Radisson Blu Gautrain Hotel Johannesburg. JIMAT di Agoda.com! Ada soalan mengenai Radisson Blu Gautrain Hotel? Bagi para pelawat yang ingin menikmati sepenuhnya pengalaman di Johannesburg, Radisson Blu Gautrain Hotel merupakan pilihan tepat. Pusat bandar hanya 10 Km jauhnya dan boleh sampai ke lapangan terbang dalam tempoh 45 minit. Pelawat yang datang ke hotel boleh melawat tarikan utama di bandar ini seperti: Nelson Mandela Square, Sandton City Shopping Centre, Kelab Inanda. Carlson Rezidor Hotel Group terkenal kerana perkhidmatan yang berkualiti dan kakitangan yang ramah, dan Radisson Blu Gautrain Hotel ternyata seperti yang dijangkakan. Hotel ini menawarkan khidmat bilik 24 jam, Wi-Fi percuma semua bilik, pengawal keselamatan 24 jam, pengemasan harian, khidmat teksi untuk memastikan tetamu menikmati keselesaan yang terbaik. Hotel-hotel telah direka demi keselesaan dan memudahkan tetamu. Sebahagian bilik menyediakan televisyen skrin rata, internet wayarles (percuma), bilik larangan merokok, penyaman udara, pemanas. Sepanjang hari anda boleh menikmati suasana yang santai dengan pusat kecergasan, padang golf (dalam jarak 3 km) , kolam renang terbuka. 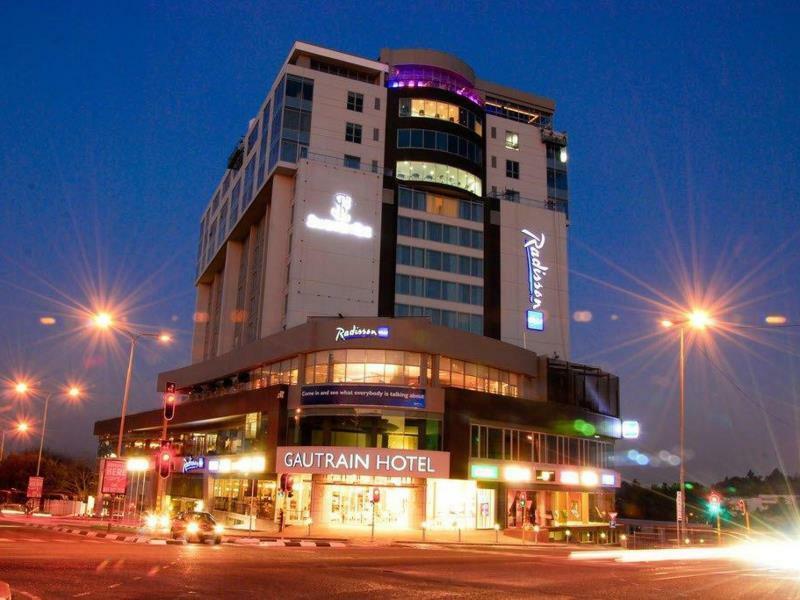 Radisson Blu Gautrain Hotel adalah destinasi sehenti anda bagi penginapan hotel berkualiti di Johannesburg. Excellent Hotel. We really enjoyed our stay here. I was blown away by the friendliness and professionalism of the staff. even the waitress at breakfast remembered which tea my wife liked the day before! Up to and including walking us across to the train station by the staff was above and beyond service! I will definitely stay here again next time I"m in Johannesburg. Easy access to airport and surrounding stations via train. Staff were great. Breakfast very good. Room was modern, clean and had a iron and board. Room safe was easy. 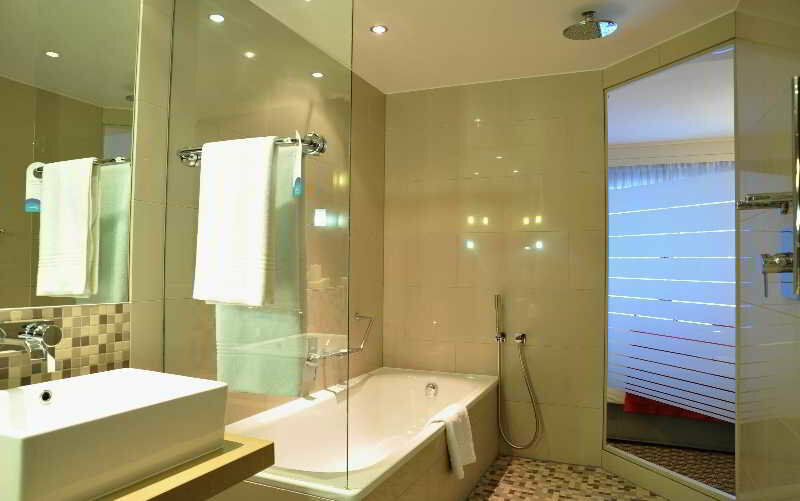 Short 5min walk to Mandela Square and shops. Would gladly stay again. Rooms were nice and the beds were comfortable. The water in the shower is a bit weak. The Sandton Station is just diagonally across the hotel. Very convenient to go to OR Tambo International Airport. The Sandton City Mall is also just around the corner. The stay was great. The staff found my glasses and were so helpful in putting them aside for me. One issue: the "free shuttle" driver (Colbert?) charged me R100 for a trip under 2 km. I paid because I was the lone passenger in the van when we got to my destination and felt I had no recourse. I did report it to a staff member at the hotel entrance and hope there are consequences for the driver. 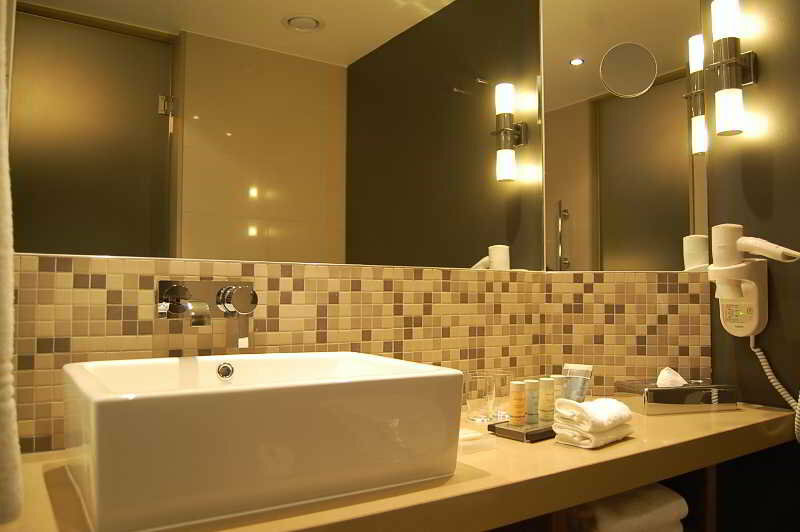 At price of $85 usd, we'd stay here anytime when in Sandton environs. For airport stopover of 20+ hours, this Radisson also viable choice.mrooms new, comfortable, amd with views. Located across street from the train station, in building above commercial space, secure access. Hotel has good restaurant and bar. Stay was comfortable unfortunately the towels were stained and weathered and the guest complimentary water bottle was used. Requests that were asked for were not done like room on a high floor and bed configuration. I can't give it a 5-star rating. The rooms are quite small, my bath had a number of chips out of the enamel which was a big turn off. The room looked out onto an office block so people could look straight in. The key card system was very temperamental and often didn't work. Location is great and easy access to Gautrain and the Sandton shopping centre. Parking was easy and reasonable. Good free Wi-Fi. Nice stay, enjoyed and value for money. It is very close to Sandton Station, you can just cross the road and you are there. Very nice and friendly staff. Transport facilities are good. Book in advance to ge their best rate. The staff at this hotel went out of their way to make my overnight stay extremely comfortable. The hotel is very conveniently situated across the road from the Airport train station. The hotel is modern, clean and quiet. Breakfast was very good. This is in a perfect location that will get you connected throughout a very large city. The breakfast is great as well. The room is up to date and thoroughly clean. I have no complaints about staying at the Radisson and would do so again in a heartbeat. I booked it through Agoda.com and it was cheaper only R2100 for the both of us including breakfast...staff was friendly and welcoming and breakfast was amazing and of course our room was perfect...clean and neat. Definitely would recommend this, because it is only 5mins from the sandton mall (walking distance) and the gautrain station is right opposite the hotel. Very comfortable rooms, great facilities including various spaces where meetings can be held and a business centre with internet access and printing facilities. Free shuttle to and from Sandton City very convenient. Location right next to Gautrain station gets you to and from the airport with ease and on time. The hotel was great! Although we experienced a power outage in our room, we was placed in a new room within minutes. Loved the bar area and the access to the other Raddison just a block away which had a spa! The hotel is also right across the street from the mall, however we didn't find out till the night before our flight. Only wish someone would of told us about it sooner! Location is great - within 2 mins walk of the Gautrain - which we used for both airport and city. It's also within 5-10 mins of Mandela square and the mall where there are many excellent restaurants. Rooms are comfortable and breakfast was good. We also took advantage of the car rental agencies which are right st the ground floor. Highly recommended and excellent value for money.